Nearly everything we use in America is shipped to us. Shipping is a complex ecosystem, and the freight broker acts as a middle-person, connecting freight movers like independent truckers with those companies that have loads to ship. Many people are interested in going into business as independent freight brokers for the freedom it affords. 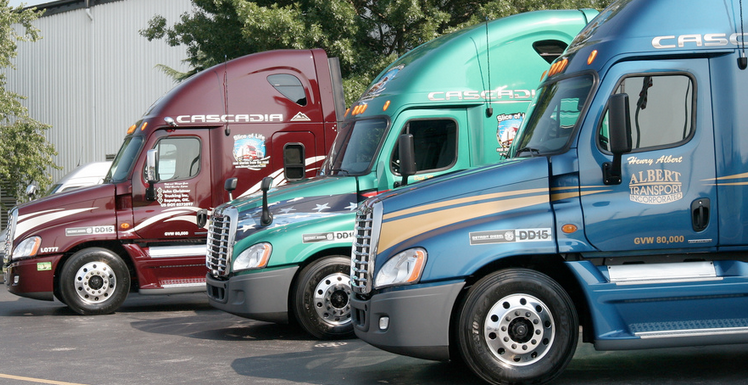 Of course, the natural question is, how much does it cost to become a freight broker? Your total cost is going to include paying for the following: (1) Freight Broker License, (2) Freight Broker Surety Bond, (3) Equipment, (4) Software, (5) authority costs, (6) and more. Since many people become freight brokers after already working in the shipping industry for a few years, they forego expensive training. If that’s the case, and you have some existing connections, expect to pay between $3,800 and $5,300 to get started. If you’re wondering about the bond requirement or haven’t come across it before, here’s what you need to know. A freight broker bond is also required by the Federal Motor Carrier Safety Administration (FMCSA) to operate as a freight broker, but it can be obtained through a bond agency, such as Bryant Surety Bonds. The bond is a guarantee to the shipper and the motor carrier that you will follow the rules of the FMCSA, and fulfill your responsibilities as a broker. This guarantee protects the parties involved. It is not insurance for you as a freight broker, but a line of credit extended on behalf of your good business practices. A freight broker license is needed to legally operate as a freight broker in the United States. Apply online for this license at the FMCSA website. After paying a fee, you’ll receive approval and a federal motor carrier number. Your FMCSA-issued license legally allows you to act as a freight broker (it was previously called an ICC license). Though it varies by state, it’ll cost less than $1,000. In addition to your license, you’ll need a BMC-84 freight broker bond. In 2013, federal regulations raised the bond requirement from $10,000 to $75,000 per year. Fortunately, your freight broker bond premium means that you only have to spend a fraction of this. We have an in-depth breakdown of freight broker bond costs, and annual payments are usually between 1% and 12% of the total bond amount. The cost will depend mostly on your credit, but your financials, experience in the industry, and years in business will also be taken into account. If you have good credit score, you will end up paying between 1.25% and 4% of the total bond cost, which will be somewhere between $938 and $3,000 a year. Equipment costs are going to be everything you need to keep an office running. If you’re going to run a small operation, plan for at least $1,000 to start and $200 a month for expenses. Even the leanest operation will need a fax machine, a computer for each employee, and assorted office equipment. Monthly expenses will include everything from broadband internet connection and phone lines to coffee, rent, and keeping the lights on and the water running. Quicken, TurboTax, Microsoft Office Suite—there are plenty of programs out there that will help a company make their business operations easier. You’ll need software to keep your books in order, both to make your life easier each payday as well as when April 15th rolls around. You’ll need licenses for employees working underneath you. As far as managing your fleet, some apps will let you do that for free, but expect to shell out more for quality tools. The broker authority is a license that a freight broker must obtain from the FMCSA before going into business. It certifies that a business is qualified and authorized to move freight. Apply by filling out an OP-1 form with the FMCSA, and fill in the “broker of property” option. The application fee is $300. When going into business for yourself, the rule is to expect the unexpected, and have the money set aside to deal with that eventuality. Your state’s Department of Transportation and other agencies may offer a training-on-demand program, but these can often be prohibitively expensive. In order to save money here, many choose free freight broker training programs and courses. If all else fails, do as my grandmother told me: keep a penny and never go broke. You can apply for a freight broker bond online even today. Just visit Bryant Surety Bonds’ website. We don’t require any collateral and approve all types of credit. Download our easy one-page application or apply online today to get your Freight Broker Bond.